beautiful celebration of the Festival of Lights. An author's note and a recipe for Sadie's latkes are included. Now, in the Send-A-Story format, this book is one gift that's sure to be a hit every night of Chanukah! A tiny, mailable version complete with addressable flaps and seals.Why send a card when you can Send-A-Story? 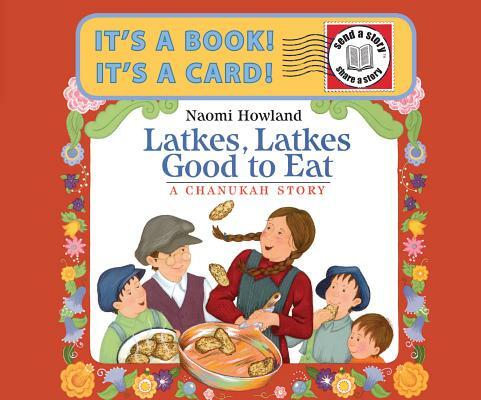 Naomi Howland is the author and illustrator of several books for children, including The Matzah Man: A Passover Story and Latkes, Latkes, Good to Eat: A Chanukah Story. She lives in Claremont, California.